Wise Owl’s Kelp is iodine rich & contains a broad spectrum of minerals, trace elements, micro-nutrients, vitamins, prebiotics & carotenoids. 1 capsule taken daily should give you 2 months’ supply. 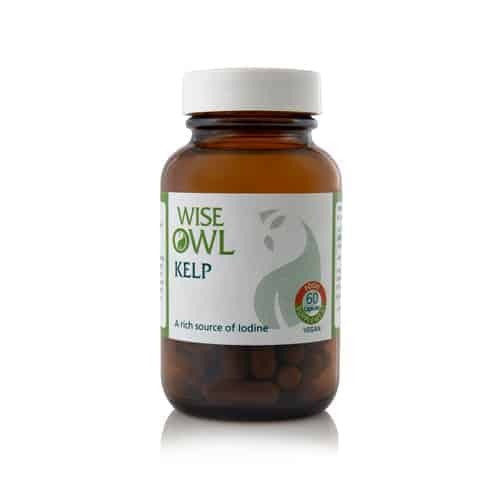 Wise Owl's Kelp supplement contains 3 species of wild bladderwrack (type of seaweed). It is iodine rich & contains a broad spectrum of minerals, trace elements, micro-nutrients, vitamins, prebiotics & carotenoids. Iodine contributes to normal thyroid function & the normal production of thyroid hormones, which help keep cells & the metabolic rate healthy. Kelp also has natural antioxidant properties, with carotenoids, flavonoids & alkaloids helping to fight against harmful free radicals. Iodine cannot be stored by the body for a long period & it must be obtained regularly via the diet or supplements. Wise Owl's Kelp supplement is free from all pollutants. It is from a sustainable & clean supply of kelp. Our Kelp supplement contains 3 species of wild bladderwrack (the type of seaweed). It is iodine rich and also contains a broad spectrum of minerals, trace elements, micro-nutrients, vitamins, prebiotics and carotenoids. 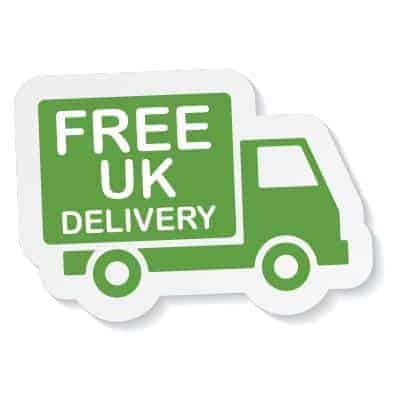 Each gluten free capsule provides 400mg of Kelp yielding 280µg iodine. From a sustainable and clean supply of kelp. The mineral iodine helps make the thyroid hormones. These hormones help keep cells and the metabolic rate healthy. Suitable iodine levels are important in preconception, pregnancy and breastfeeding as the nutrient supports the baby’s future neural development. Iodine cannot be stored by the body for a long period and it must be obtained regularly via the diet or supplements. Amongst various recognised functions iodine contributes to normal cognitive function and to normal functioning of the nervous system. normal production of thyroid hormones and normal thyroid function. normal cognitive and neurological function. Suggested Intake: 1 capsule daily or as directed by a practitioner. Suitable for: Men, women and the elderly, including vegetarians and vegans, and for people with Candida and yeast sensitivities. Contraindications: Pregnant or breastfeeding women should consult their doctor before taking this product. Kelp is not suitable for children. Ingredients: Kelp (Ascophyllum nodosum, capsule shell: vegetable cellulose.